Audi enthusiasts in the Pittsfield Massachusetts area have helped keep Audi one of the most popular makes on the road today. 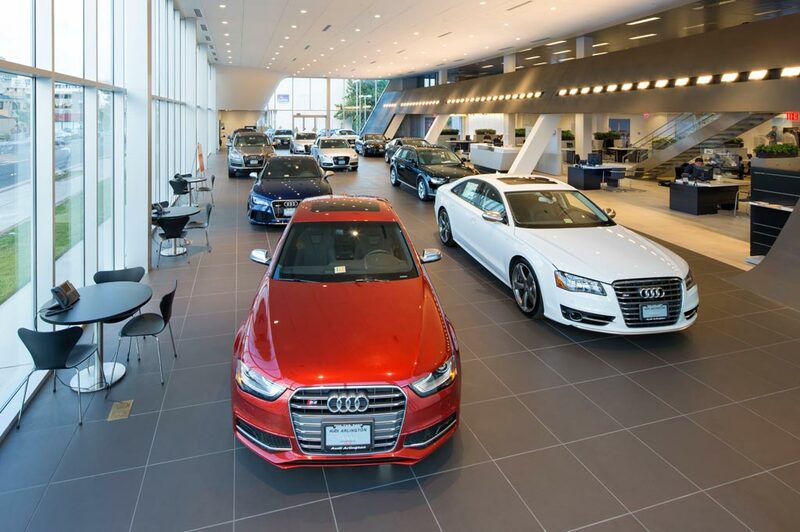 Whether you are a fan of the Audi A3, A4, A5, A5 Cabriolet, A6, A7, A8, Q5, Q7, R8, S4, S5, S5 Cabriolet, TT Coupe , TT Roadster or TTS Roadster Flynn Audi in Pittsfield Massachusetts has the inventory you're looking for. Our highly trained Sales Staff is here to help you find the Audi of your dreams in the Berkshire Region, whether you are in Pittsfield, North Adams, Great Barrington and Lenox MA. Contact us today to arrange a time to come in for a test drive of your new Audi. Flynn Audi in Pittsfield MA has a complete Audi parts department with genuine Audi parts and accessories. Located conveniently to the entire Massachusetts Berkshire Region including Pittsfield, North Adams, Stockbridge, Lee, and Great Barrington; Flynn Audi makes it easy to get parts for your new or used car, truck or SUV. We pride ourselves in obtaining the correct part for you the first time. Flynn Audi has a stocked inventory of genuine Audi auto parts to repair your car, truck or SUV. Our authentic car parts will keep your vehicle running like new for many more miles to come. Our factory trained, ASE certified Audi technicians at Flynn Audi in the Berkshires of Massachusetts are the ideal choice for keeping your new or used Flynn Audi running like new. Flynn Audi's car repair experts will diagnose your vehicle's problem and make a repair as quickly as possible. Schedule your service visit by by completing our online Audi service scheduler and someone will contact you to confirm your request saving you lots of time. Flynn Audi in Pittsfield Massachusetts offers a variety of financing options. Whether you are interested in a new or used car, our finance team will help you obtain very competitive rates and terms on your new vehicle. Check out our payment calculator and our secure online finance application as well. Audi enthusiasts in the Pittsfield Massachusetts area have helped keep Audi one of the most popular makes on the road today. Whether you are a fan of the Audi A3, A4, A5, A5 Cabriolet, A6, A7, A8, Q5, Q7, R8, S4, S5, S5 Cabriolet, TT Coupe , TT Roadster or TTS Roadster Flynn Audi in Pittsfield Massachusetts has the inventory you're looking for. Our highly trained Sales Staff is here to help you find the Audi of your dreams in the Berkshire Region, whether you are in Pittsfield, North Adams, Stockbridge, Lee, or Great Barrington. Contact us today to arrange a time to come in for a test drive of your new Audi.